Home Videos How Did The SR-71 Blackbird’s Engines Work? The SR-71 Blackbird didn’t just have any normal engines, they were highly engineered beyond anything that someone would expect to both improve performance and make it one of the best military planes to date. For the 1950s and 1960s the SR-71 Blackbird was a military airplane ahead of its time, it was capable of of sustained supersonic speed above Mach 3. At this speed it could outrun practically any missile shot at it during its operational time period. The SR-71 Blackbird wasn’t an attack aircraft nor did it doing any of the battling, it was strictly a surveillance aircraft that could fly high and fast to avoid enemy radar and attacks. During this time period that the plane was in operation it allowed the United States to keep an eye on its enemies and keep ahead of any of their actions. 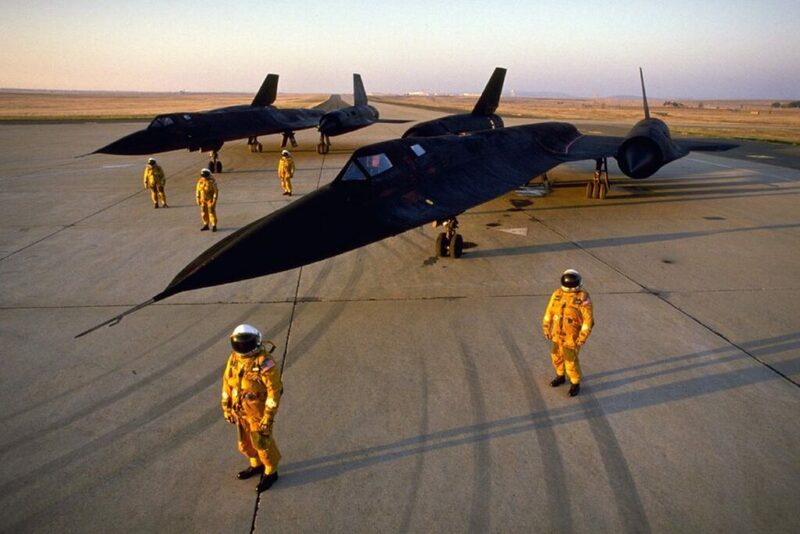 While I could go on explaining about how great the SR-71 Blackbird is the real power behind this plane is its engines, they had to be specially developed for its work. No normal engine would fit this aircraft as its traveling speeds above Mach 3 would tear the engine apart with the supersonic air being trusted into it. The unique design of this engine isn’t primarily for stealth or for looking good, it’s to form the air and reduce the speed as it enters the engine. The long spike jutting out from the engine works to diffuse the supersonic air allowing it to slow down to manageable speeds before being introduced into the engine for compression and combustion. The optimal speed for the SR-71 Blackbird is actually around Mach 3.2. This is achieved by bypass pipes along the engine that at high speeds turns the engine into a ram jet which is more efficient at higher speeds. At lower speeds the engine operates like a normal turbojet, compressing the air, mixing the fuel, and igniting it. The engine is an absolute work of art for how it operates and how every little design choice and component improved the engine performance and made the SR-71 Blackbird the fastest plane in the skies.